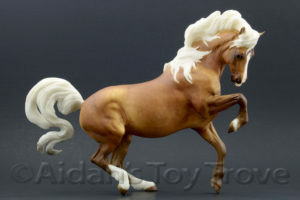 Home » Model Horse	» BreyerFest The Girl From Ipanema & Connemara Mares! Oh my! 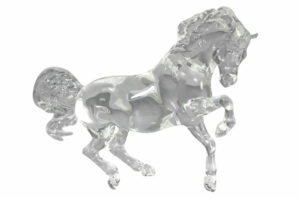 Breyer announced the crystal horse for BreyerFest 2016 Carnival. Her name is The Girl From Ipanema and she is the Connemara Mare or Croi Damsha mold. 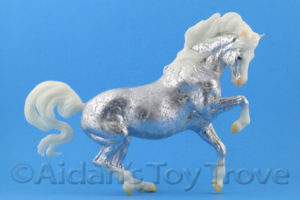 As with all of Breyer’s crystals, she will be closest to Paddock Pal size in scale. The Girl From Ipanema will be for sale in the Breyer Mercado tent which I unfortunately will likely not have time to stand in line for. Needless to say, I won’t have any crystals for presale. To help our BreyerFest fans through their post-holiday weekend blues we have a little something sparkly to share! 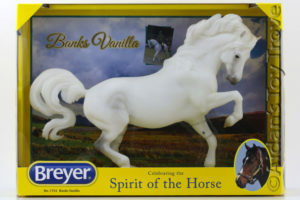 This feisty lady will be available in the Breyer Mercado throughout the weekend! 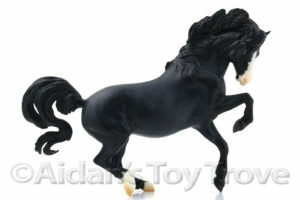 Keep checking the BreyerFest Blog to find out who else will be joining Mancha and Gato and The Girl from Ipanema. Croi Damsha and Chanel are two of my favorite Original Finish Breyers. I might just have to hunt The Girl From Ipanema down on the secondary market! Here are some of the Connemara Mares that I own. I own a couple of customs too that really deserve to be shown off but I need to get pictures taken of them first. And hopefully sooner than later! 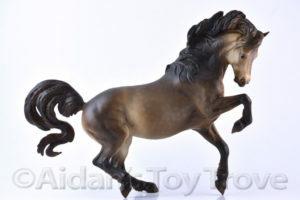 One Response to BreyerFest The Girl From Ipanema & Connemara Mares! « An Accidental eBay Sale To YOUR Benefit!